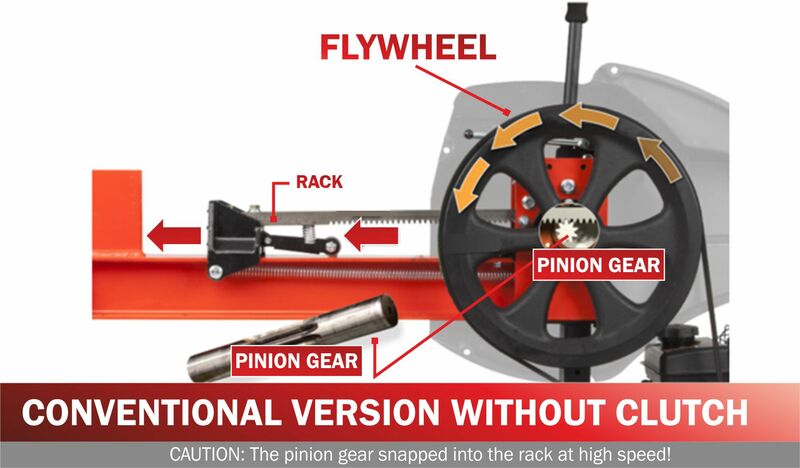 With its patented design, the Jansen FS-20Speed flywheel wood splitter constitutes a revolution in wood splitting. It would be virtually impossible to split a large quantity of firewood more quickly than with our wood splitter. The FS-20Speed exploits the principle of kinetic energy, i.e. the momentum from a heavy flywheel. The splitter generates kinetic energy of 20 tonnes - sufficient to split every piece of wood grown in European forests. The Jansen FS-20Speed is supplied with a top quality 4-stroke OHV petrol engine. The equipment is supplied dismantled and delivered well packaged in a wooden crate. You should allow around 2 hours for assembling prior to putting into operation for the first time. The scope of delivery includes an instruction manual and several exploded views. Assembly should not cause any problems. If you do need assistance nevertheless, we will be pleased to help. When putting into operation for the first time, you will need approx. 1 litre of engine oil for the engine. We recommend a 10W40 or 15W40 multigrade oil. After assembling and using for the first time, I'm impressed with the speed of the splitting and ease of operation. The manual supplied gave good instructions for assembly, but information on service and maintenance is not as detailed. 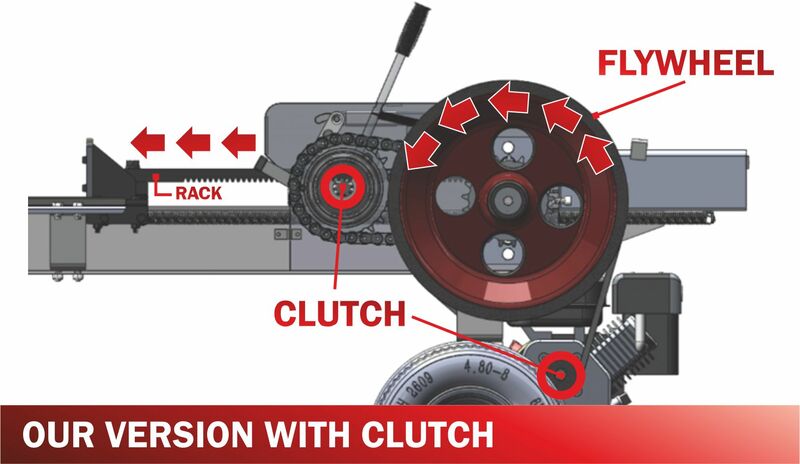 Hopefully, procedures will be self-evident when covers are removed to expose the mechanism - especially for lubricating, which I assume is an important factor for trouble free use.